A darkly comedic series about mentorships in the entertainment business. 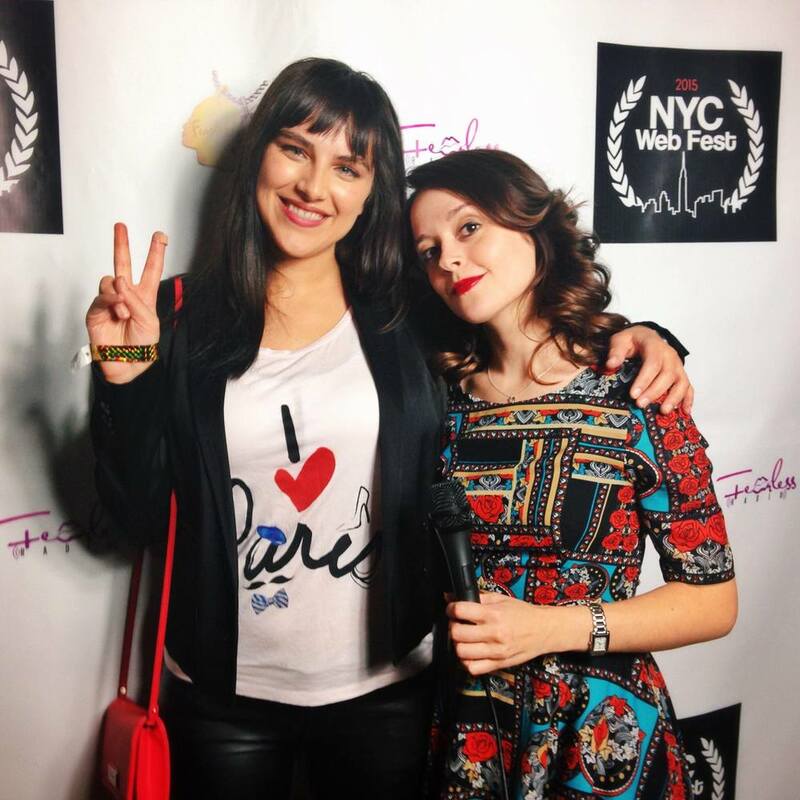 The team enjoyed themselves at The Mentors premiere at the NYC WebFest, where they won awards for Best Guest Actor (Julie Halston) and Best Director (Natasha Kermani). The Mentors comes from the mind of actor and producer Lauren Ashley Carter (Warwick Street Productions) after meeting actor Joe Grifasi and comedian Lewis Black during the production of One Slight Hitch, a play written by Lewis and directed by Joe. Carter had the chance to hear Bob Newhart speak during a talk back for The Big Bang Theory in Los Angeles, and when Mr. Newhart was asked about what has changed about the industry since he first began, he responded frankly that everything had changed, and not one thing is the same about "breaking into the industry". In a time where content is taking over our screens, the idea of a fruitful mentorship in this new world of entertainment seemed so daunting and impossible. Carter began talking to actors and filmmakers of all ages about their experiences with mentorships from the sides of both mentor and mentee. She was inspired to create a dark comedy series that revolved around mentorships with new stories and players for every micro-episode with her writing partner Lewis Black. Lauren Ashley Carter resides in Brooklyn and is a co-founder of Warwick Street Productions along side partners Natasha Kermani, Arthur Shapiro, and Marlene Shapiro. Film credits: Premium Rush (David Koepp), The Woman (Lucky Mckee, Sundance 2011), Jug Face (Chad Crawford Kinkle, Slamdance 2013), Pod (Mickey Keating, SXSW 2015), Darling (Mickey Keating, Fantastic Fest 2015), The Mind's Eye (Joe Begos, 2015), King Rat (Henry Johnston, 2017), Imitation Girl (in production, Natasha Kermani 2016). TV Credit: Law and Order SVU- "Pursuit" (Jonathan Kaplan, guest starring Debra Messing). Theater credits: Off-Broadway- Any Given Monday (59 East 59th Street Theater), Night Sky (Nagelberg Theater). Regional theater credits: Miracle on South Division Street (Human Race Theater Company), Lewis Black's One Slight Hitch (George Street Playhouse, Wellfleet Harbor Actors Theater). Director: Introducing Parker Dowd (Short, 2015). Training: The University of Cincinnati College- Conservatory of Music (BFA 2008). Lewis Black, comedy's king of rant, is The Mentors' co-creator. A much sought after guest for several late-night television shows, Lewis also voiced the character of Anger in the popular Pixar film, Inside Out. As a playwright Lewis has penned over 40 plays, many of which have been produced around the country. In addition to his professional pursuits, Lewis is dedicated to a number of charitable organizations. As a long time mentor with the 52nd Street Project, featured in our Mentors series, Lewis was roasted in Charred Black 2007 which drew the largest fundraising numbers in the Project’s history. Lewis continues a life-long commitment to education and the arts. He continues to tour heavily, playing countless dates each year and providing a cathartic release of anger and disillusionment for his audience. In his leisure time, Lewis likes to play golf, even though golf hates him. Arthur Shapiro is a part time marketing consultant with a full time passion for writing stories for stage and screen, and a member of the Dramatist Guild. His short play, Stuck, was the winner at a short play festival at Players Theatre in New York in 2011. Brooklyn Moonshine War had a staged reading at the Midtown International Theatre Festival in 2013. 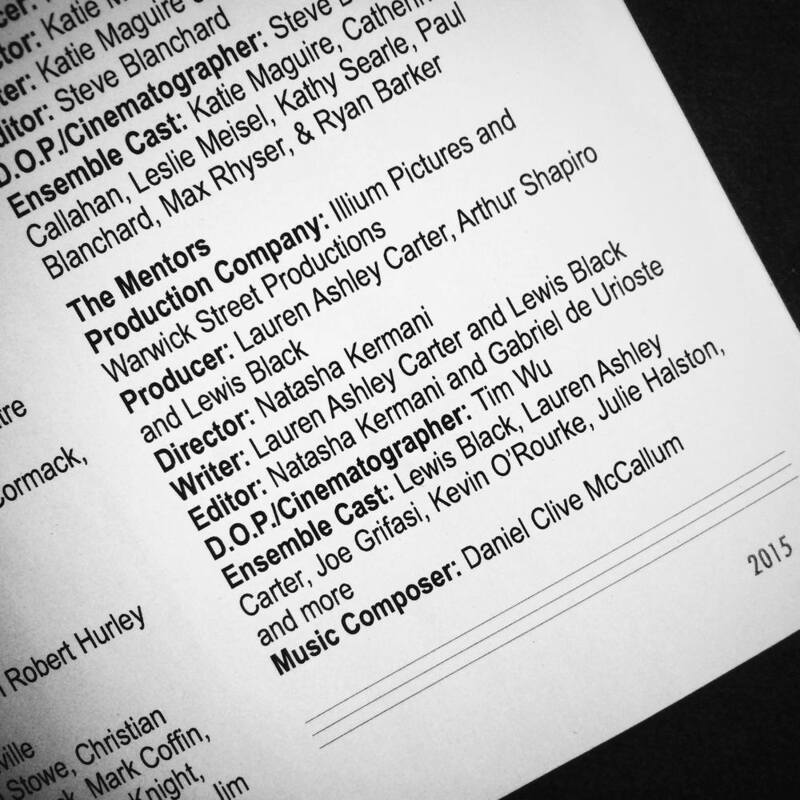 Bereavement, 2014, is among his first short film scripts produced, together with Lauren Ashley Carter and Natasha Kermani, with whom he launched Warwick Street Productions. Natasha Kermani is a Brooklyn based filmmaker and co-owner of Illium Pictures, an independent production company headquartered out of Downtown BK. Her short form work includes Bereavement, produced with the Warwick Street Productions team as their first narrative film. Her feature film, Imitation Girl is currently in production and will begin its festival circuit next Spring 2016. Coming up next in the world of webseries, Kermani is developing REGINA, a neo-noir mystery created by Broadway's Nik Walker. One of Kermani’s ongoing projects, The Wkshp, is an Actor-Director Workshop that meets once a month to exercise the craft of film directing, rehearsal technique and screenplay development. The Wkshp is a non-profit sponsored project, and is free for all participants. Kermani has been fortunate to be invited as a speaker on a variety of panels focusing on women in the arts, including the Chesapeake Film Festival’s Women in Film event (hosted by Liza Moore), and a bicentennial event at Emma Willard School, where she spoke for an audience of more than fifty high school aged girls.